BEIJING - One of the major State automakers in China is investing 10 billion yuan ($1.5 billion) in Beijing over the next three years. No, Beijing Automotive Group Co Ltd is not injecting cash into the nation's capital, it's funding the development of its independent brand of cars named after the city. For the company, known colloquially as Beiqi, it is a breakthrough. For decades, it had never developed its own brand of cars. Founded in 1958, it previously manufactured cars through a joint venture with South Korean automaker Hyundai Motor Co, a deal that was established in 2002. Beiqi had dedicated most of its resources on commercial vehicles, mostly buses, until the joint venture. Beiqi produces 700,000 commercial vehicles annually, making it one of the largest commercial vehicle makers in the world. The independent Beijing brand will have nine lines of automobiles, including three SUV lines. During the 12th Five-Year Plan (2011-2015), Beiqi plans to develop a total of nine sub-brands and 21 models of passenger cars. The company said it expects to build 700,000 passenger cars within that time. 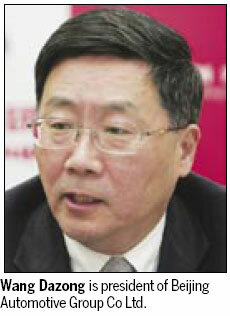 Wang Dazong, president of Beijing Automotive Group Co Ltd, said the cars will be in the mid- to high-end range. Company officials said they are not sure when the Beijing brand will begin making cash but to raise enough capital, the company is planning a listing on the A-share or H-share markets in two to three years. Beiqi recently rolled off its first car of the independent brand in a manufacturing plant in Zhuzhou, Hunan province, in Central China. For the past eight years, Beiqi's sales figures from its joint venture with Hyundai have been remarkable. In 2009, the group sold 1.2 million cars, of which 570,000 were joint-venture cars, contributing 47 percent to sales. "The money from the joint venture is too easy to gain; therefore, few State automakers have the motivation to put a large amount of money in new car research and development," said Jia Xinguang, an independent auto analyst. 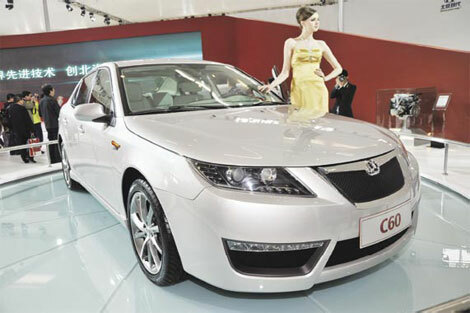 As late as 2006, the Shanghai Automotive Industry Corp launched its independent car brand. During the next two years, other major automakers, including First Automotive Group Corp and Dongfeng Motor Corp, developed their own brands. But, according to Jia, these companies have not performed up to par. Jia estimated that profits generated by native brands were less than 10 percent of their total profits. 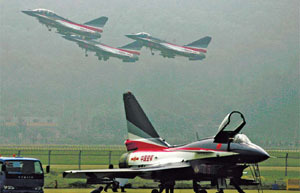 For Beiqi, however, auto development is key for its future. Each new model it rolls out will come with a environmentally friendly sister model after a six-month lag. This year, 30 electric cars will make their debuts. Beiqi is using some of the technology it acquired in last year's assets purchase of Saab, a former subdivision of General Motors. Four out of its nine sub-brands will be based on the core technologies of Saab. Wang said an independent brand is part of its "going-out" strategy. "With no independent brand, we won't have a big say in the international market, therefore no major international influences in the long run," Wang said. "Besides, the Chinese auto market is booming now. We want to get a slice of this cake when the momentum is strong." During the first nine months of this year, the Chinese auto market grew by 36 percent year-on-year and overtook the United States as the largest auto market, with total sales of 13.6 million, according to the China Association of Automobile Manufacturers. Beiqi - whose major export markets include Russia, South Africa, Vietnam, Egypt, and Mexico - estimated that by the end of this year, 35,000 commercial vehicles will be exported, up by 27.5 percent year-on-year.